Like most things found on the earth, crystals contain many of the same elements which make up their molecular structure as humans do. The similarities found in crystals and the human body allows us to create a semi spiritual bond by tuning into the frequency which crystals vibrate at, helping us to heal mentally, physically and also guide us in times of hardship. Many crystals can be used to guide us through our spiritual journey. They do this by attuning to your energy according to the vibrations they give out and then further connecting with your Chakras. Some crystal’s can be bought with the intention to align all of your chakras at once, whilst others can work more closely with specific chakras reducing and erasing the effects of mental illnesses such as anxiety and depression. When working with any crystals, there are procedures that you will need to take first in order to align that crystal with your own frequencies. Upon purchasing a Crystal you should wash it under a cold tap to rid it of any energies attached to it from the store, or through handling of different people. Allow the crystal to dry by shaking the water off of it, and then, whilst holding the crystal to your heart speak aloud and inform the crystal of the specific purpose that you wish that crystal to be used for. 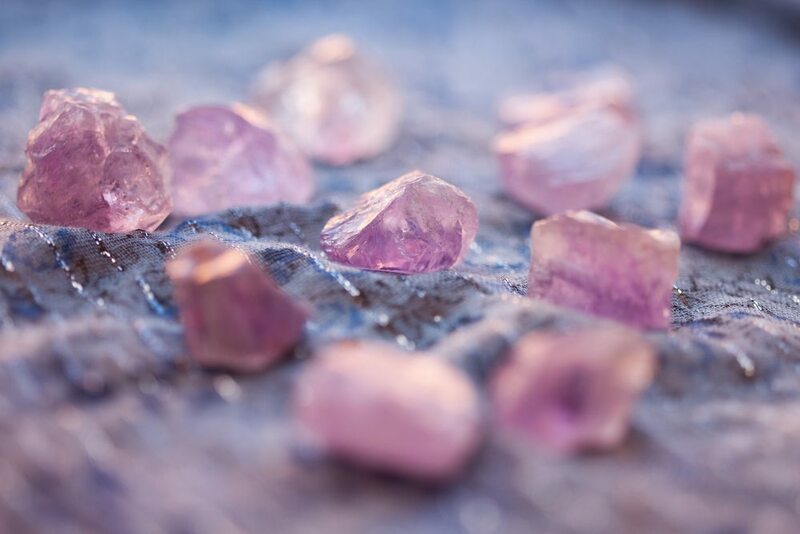 By following simple measures in connecting your crystal to yourself you are allowing more of an opportunity for the crystal to connect with your own frequency, heightening the effectiveness of that particular stone. The most obvious way to receive messages through the use of crystals is to use a crystal ball. Dating back to 2000BC, crystal balls have become a popular method of divination, and are still used popularly in the present day. However, despite Beryl and Rock Crystal being popular materials for crystal balls in older ages, it is now more common to come across a ball made of glass than crystal. Using crystal balls to receive a message can be a complicated method of communication to learn and will not be a skill that you can progress with over night. To get a crystal ball reading of your own please visit here. Using crystals to receive messages is fairly simple, however the timeline of receiving messages can become quite long lived and so you may require some time in a quiet area to allow a true connection between yourself and the crystal to occur. You’ll firstly need to chose a crystal which relates to the issue which you are asking guidance for, i.e Rose Quartz for love. Once you have chosen your desired crystal you will need to sit and meditate with the stone. It may take a while but crystals will always have some form of message for you, whether they be in the form of vision (clairvoyance), sound (clairaudience) or basic intuition. Once you believe that the crystal has completed its message to you, end your meditation and thank the crystal for its guidance. For more information on crystals and guidance please visit our good friends over at Earth Spirit Healing Gardens.